Birdon is one of Australia’s leading shipyards for construction, repair and refit of small to medium sized vessels. We have designed, lead and delivered a wide range of marine projects – including multi- million’ dollar luxury ship builds, multiple vessel production programs and maintenance programs. 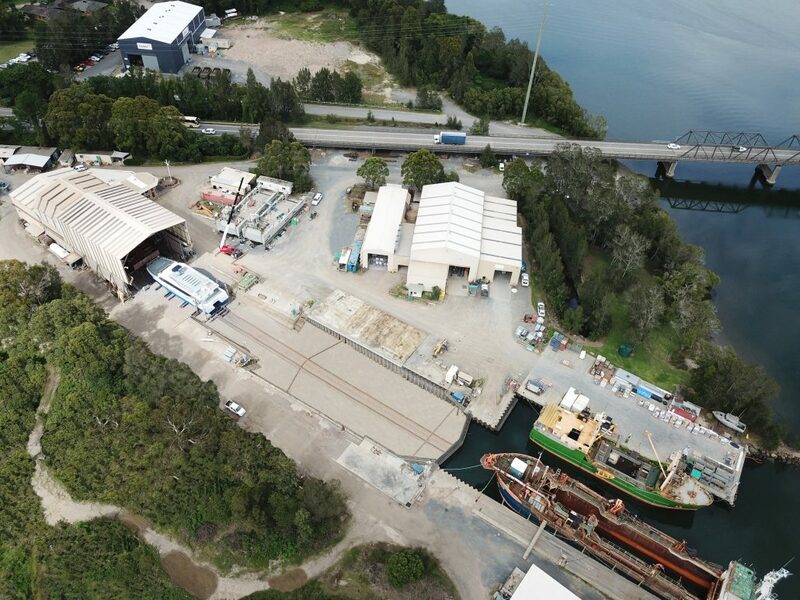 Birdon’s extensive Port Macquarie shipyard – incorporating a dry dock, slipway and all-weather aluminium and steel fabrication sheds – allows several projects to be undertaken simultaneously. We can accommodate vessels up to 450 tonnes on the slipway and 1000 tonnes in dry dock with a maximum width of 14 metres and a draft of 4 metres or less. Our fabrication sheds include an all-weather, 800m2 aluminium fabrication facility as well as a separate, undercover steel fabrication facility which is suitable for vessels up to 50m in length. This are can also be extended for longer term projects. Birdon’s Port Macquarie facility is licensed to operate 24 hours a day, seven days a week which allows for shift-work for time-critical projects.